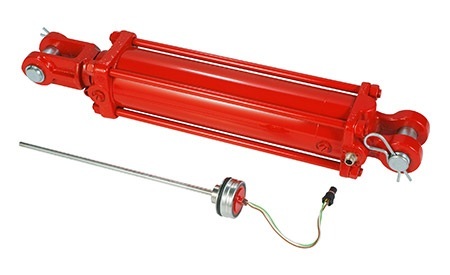 Hydraulic Position Sensing Tie Rod Cylinders Cross Mfg. The Cross PDH series tie rod type cylinders contain internal electronic feedback that senses cylinder rod position. Designed with an output to provide constant monitoring of the cylinder rod position for steering applications, blade control and etc. For superior durability and long field life, all sensor components except electrical connector are embedded internally. Rated to 3000 psi—2" through 5" bore sizes.